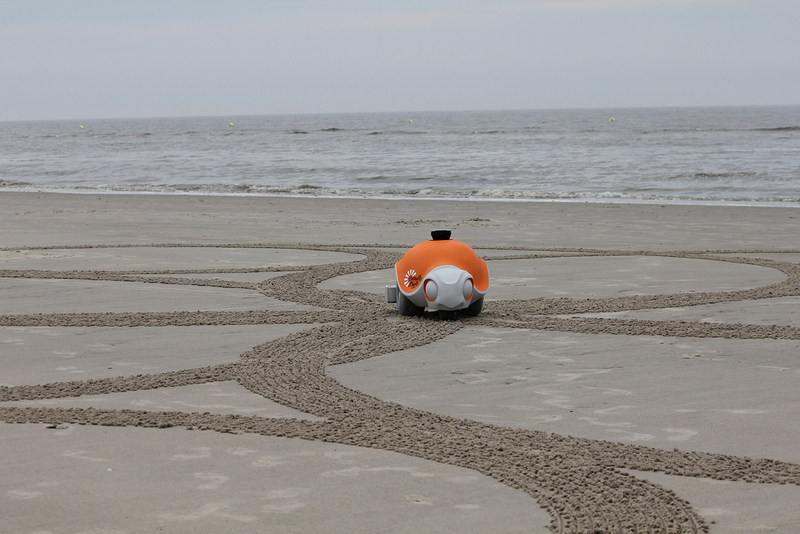 Researchers from Disney, together with students from ETH Zürich, have developed Beachbot, a small robot that scurries across the sand creating large scale art by dragging a rake behind it. 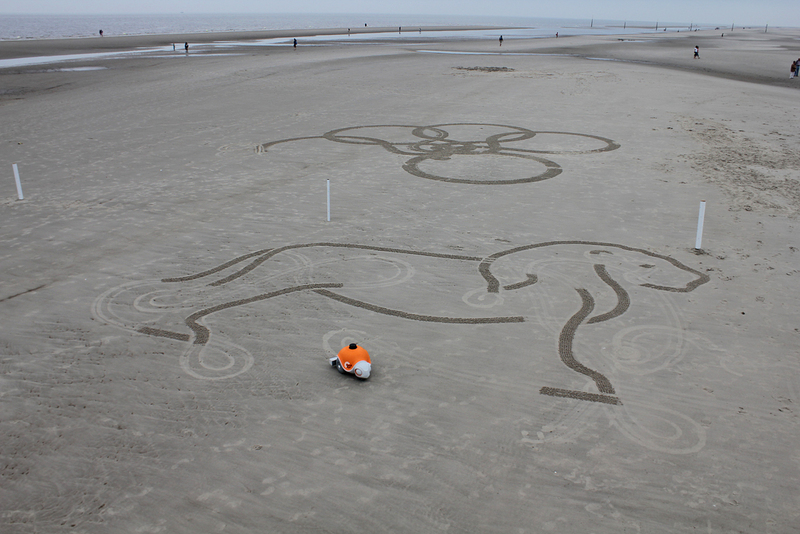 "The BeachBot is an autonomous robot that can create large scale sand art. 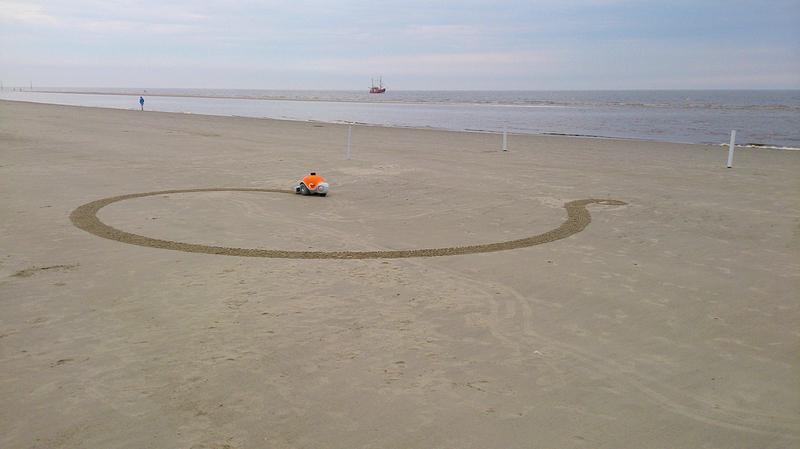 The robot will be deployed at a public beach to amaze beachgoers who pass by. Not only the final picture is important, the whole drawing process will provide an exceptional, magical show. 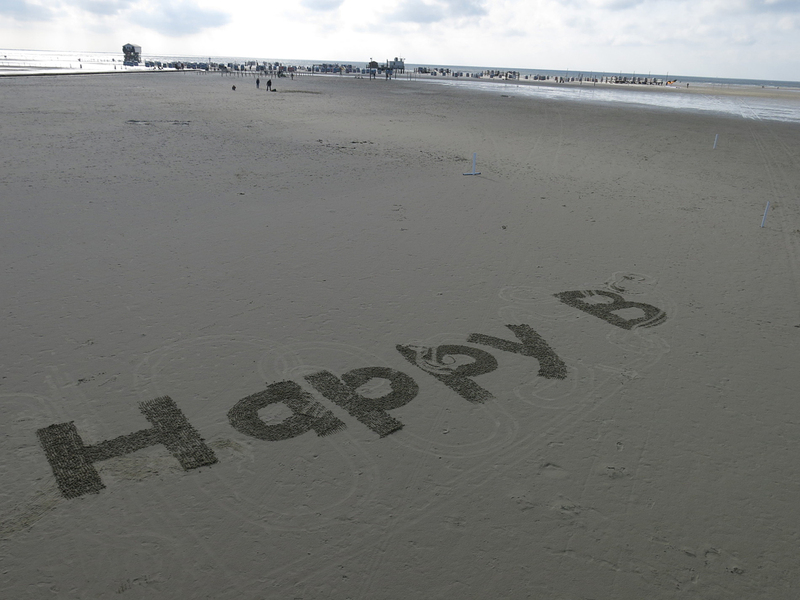 The BeachBot is not just a lifeless, mechanical being; it is a friendly looking creature with a soul. 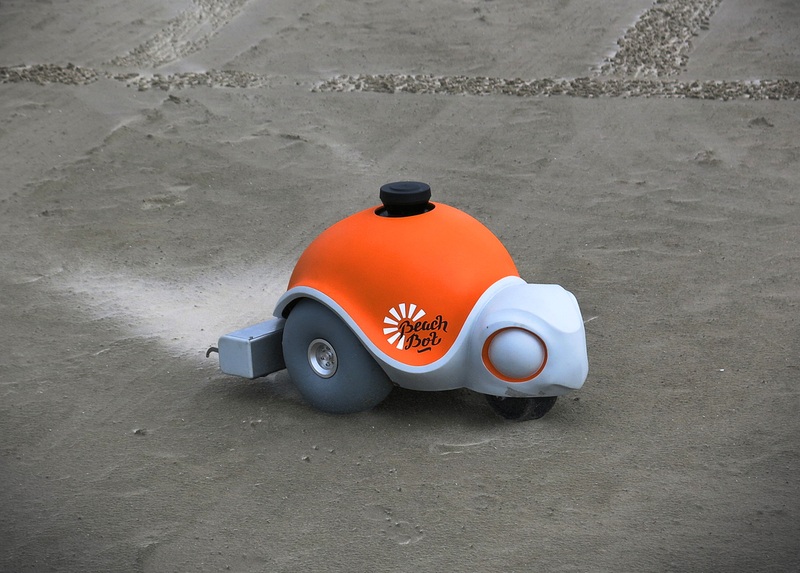 The BeachBot is 60 cm in length and 40 cm in both width and height. To provide maximal mobility and enough robustness a 3 wheel arrangement with differential drive back wheels and a steered wheel in the front is used. 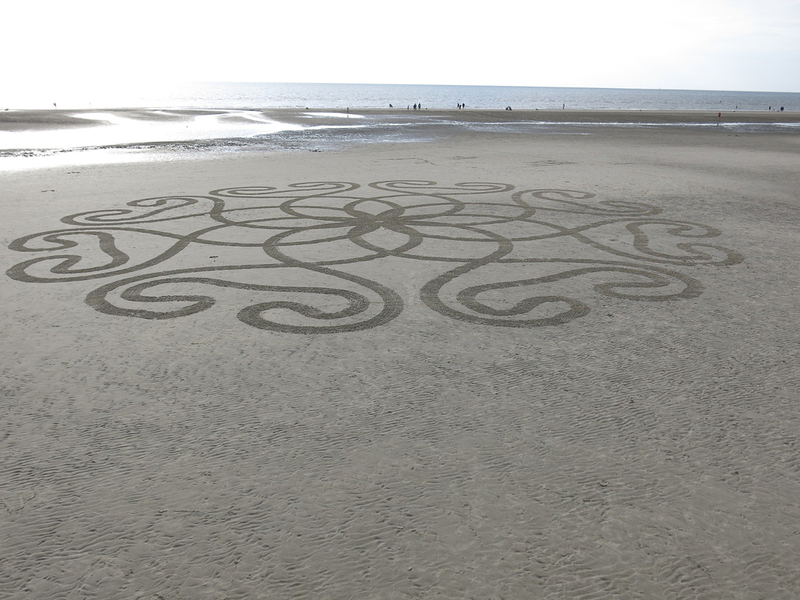 The BeachBot carves pictures into sand with a rake consisting of seven individual movable elements actuated by servo motors. They are attached at the tail of the robot. This solution leads to great visibility of the drawn lines and to a large variety in line width, from minimal 5 cm up to the width of the robot." 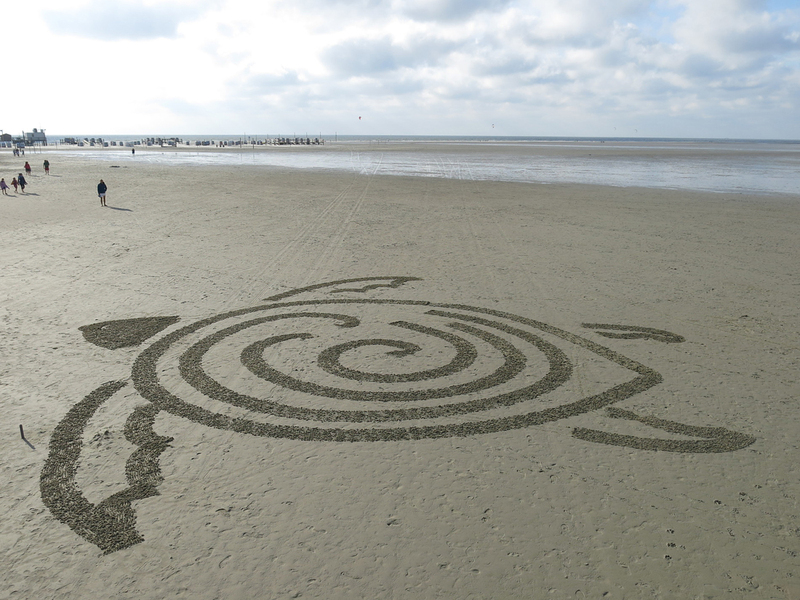 Take a lokk at a video explaining more about Beachbot, and a timelapse video of it creating art. Also we would recommend you to check out posts about robot mops.